Here Is What September Has In Store For Gemini.  For the most part of September, your attention will be drawn to your home life, as Mercury leaves Leo, moves through Virgo and into Libra. The New Moon opens doors to new beginnings, so you should use this opportunity to discuss your plans with your close relations and friends. However, in the second week of the month, there’s a danger of difficult changes involving a partner or a close relationship. The alignment between Jupiter and Pluto in the third week of September will prompt you to gain more freedom. You can also expect new career opportunities. Just be careful and do not rush on.